Crawl Space Insulation Our team is committed to quality installations and customer service. Air Sealing Our team is committed to quality installations and customer service. Attic Insulation Our team is committed to quality installations and customer service. With many years of experience, Dr. Energy Saver Central Maryland is your local, fully trained and certified home insulation specialist. We specialize in many types of high-quality insulation to be installed throughout your home, and we can also help with replacement windows and doors. But our whole-house energy model makes us different from all the rest. It's not uncommon to experience discomfort in a home, but identifying the actual source can be quite difficult without the proper tools and knowledge. At Dr. Energy Saver Central Maryland, our home energy audit will find the cause of discomfort or high energy costs. This means we only recommend repairs and upgrades to solve your particular problem. You'll experience the results of your investment right away! If your home is drafty or your HVAC is overworking, driving your energy bills through the roof, you need the help of a professional to install insulation and solve other problems. 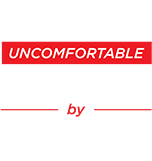 Homeowners throughout Central MD are now living in healthier, more comfortable homes because they worked with Dr. Energy Saver Central Maryland to fix these issues. But don't just take our word for it! See what our customers have to say, compare their problems to your own, and get an idea of the type of work we can do. Our technicians are also readily available to answer questions. And when you schedule your free inspection and estimate with us, we'll be sure to explain any situation we discover! As a part of the Dr. Energy Saver dealer network, we have access to the industry-leading products our customers need for comfortable, affordable homes. Our understanding and experience with building and repairing homes allows us to make the best recommendations to fit your need and budget, while also providing energy efficiency. We also value education and honesty - we want our customers to know what we're doing and why. We will help you understand how air sealing affects insulation, for example, and much more! Our customers have come to trust us over the years for the quality of our service, and we know we can offer the same to you. Schedule a free estimate for home insulation or an energy audit today!